Chinese Medicine has an interesting perspective on spider veins. Spider veins occur when our bodies are overwhelmed by emotional events in our lives. Emotions are believed to be carried in the blood in Chinese Medicine. And as long as our emotions on any given day aren’t too overwhelming, our bodies can handle them. But some days, we are overwhelmed with negative emotion. The body needs to find a place to “put” those toxic emotions. In other words, we need to create storage for toxic energy that these emotions create. Otherwise, these toxic emotions would be floating around in our blood system causing illness. In these cases, our bodies are likely to create little distributaries coming off our main veins. These little offshoots might just be one or two little spider veins. Or sometimes we get a bunch of them all coming out of the same place, like a delta along a river. Or maybe even a large channel that becomes a varicose vein. In Chinese Medicine, we believe it is good to drain these little offshoots of the emotional toxins to restore optimal health. 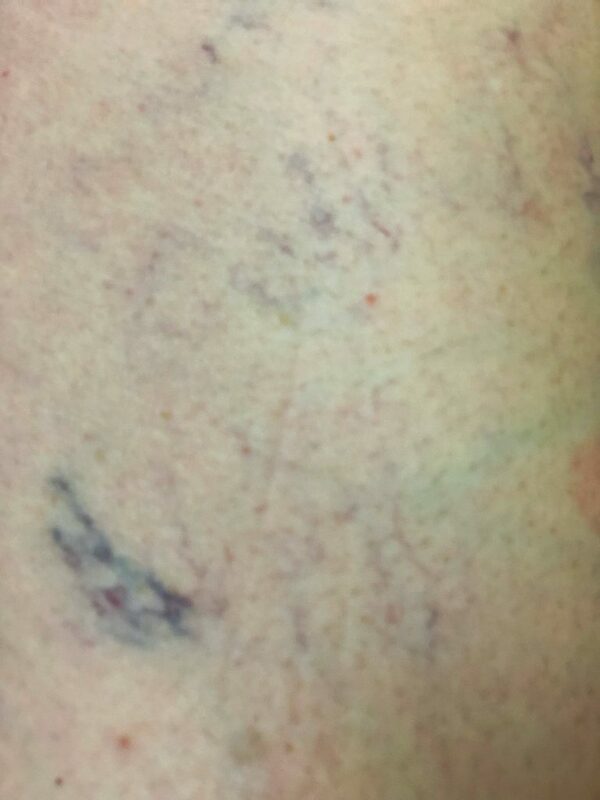 These spider veins and varicose veins are called “Luo channels” and the treatment for the emotional causes of them is called a “Luo” treatment. If you have spider or varicose veins, that is often an indicator that you would benefit from Luo treatments. Luo treatments follow an ancient Daoist protocol to release the unexpressed emotions that are stored in the blood. These treatments are typically done with acupuncture needles rather than acupressure because using needles is a better “release” procedure in general for the blood level. Such treatments can bring a deep level of emotional release and with that release those pesky spider veins can often (though not always) disappear.